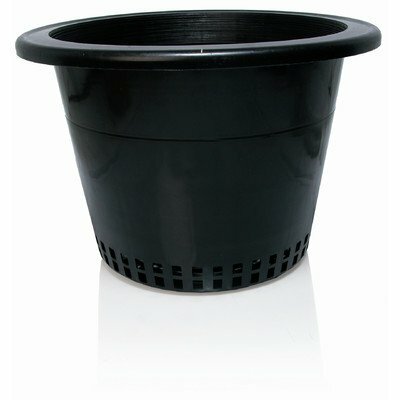 The many holes in the bottom of these bucket baskets promote healthy roots with even drainage. Letting the roots grow their own way, right down through the pot, allows for bigger, healthier roots. These baskets work with any kind of media -- hydroponics or soil-based. They're also easier to clean, since water runs right through the holes. If you've ever experienced hand cramp or fatigue, let our bucket baskets come to the rescue. You'll notice comfortably-sized lip along the top of these containers, making them easy to grab, lift and transport. Check out our full collection of these bucket baskets and other containers to round out your garden supplies.